SPRINGFEST ART EXHIBITION - October 3rd, 2015. The old Western Stores Building was transformed into a stunning gallery for Wellington's first SpringFest Art Exhibition. Its high ceilings, imposing pillars and spacious dimensions made it the perfect venue to display the works of local and regional exhibitors. ​Artists and visitors mingled in this inaugural Springfest art exhibition. 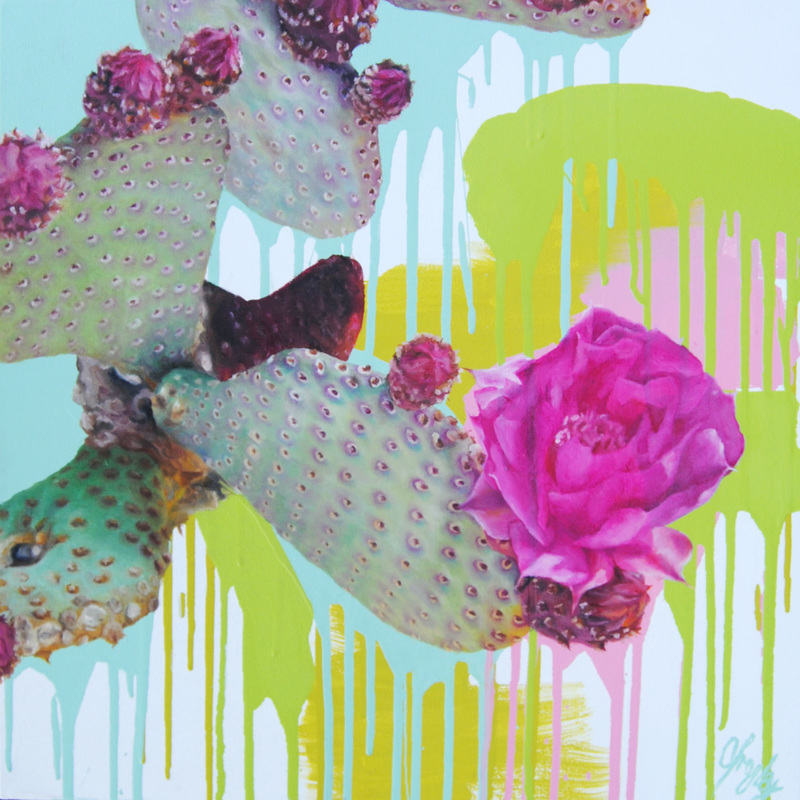 At right: local artist Christina Frogley's 'Cactus No. 2'.